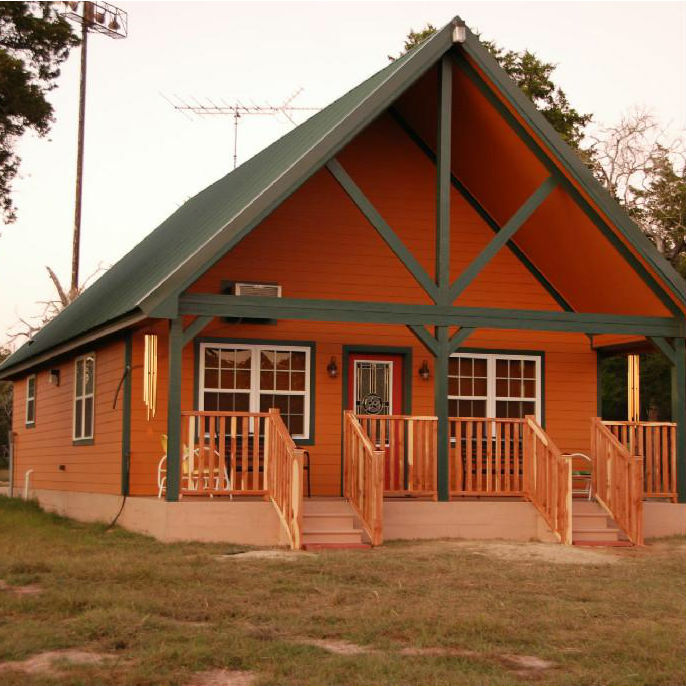 Bluebonnet Cabin and Lily Ponds Cottage on Curly Q Ranch Refuge, a wildlife sanctuary and nature cabin rentals, in New Ulm, TX. Absolutely no smoking, no pets, no fires, [no barbecues without approval due to dry conditions]. 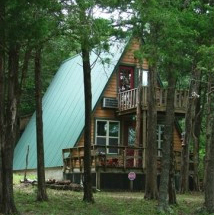 Bluebonnet Cabins: 2 rentals--Bluebonnet Cabin, a cedar lodge with a sunset view, and Lily Ponds Cottage, an A-frame with a pond view. 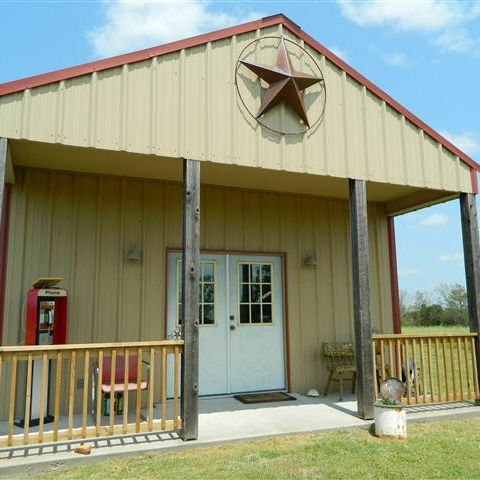 The location of New Ulm, Texas, lies in the center of wonderful towns with history to offer: Columbus, Fayetteville, LaGrange, Round Top, Brenham, Bellville, and Sealy. Within 20 miles in any direction, you can enjoy the country-road cites and the small town ambiances. 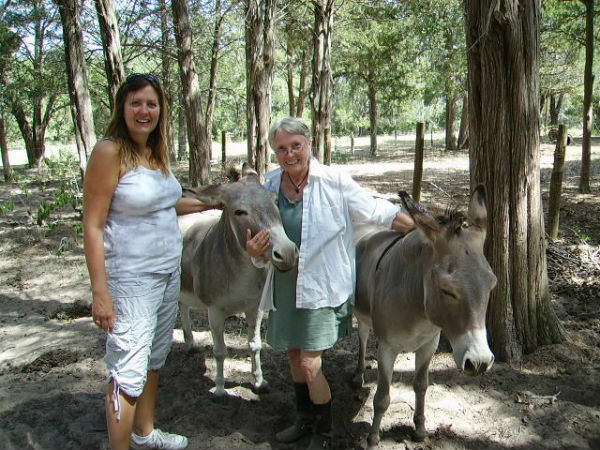 The wildlife ranch with 50 acres of woodland trails offers the ultimate in enjoyment, and coupled with the drives, this vacation becomes incredibly valuable. Within 4 miles lies The Falls Golf Resort with its Cascades Restaurant, an adventure in gourmet delights with a view of the course and the deer who live there. Contact Linda at 713-858-6328 or contact for information and bookings. Schulz General Store, the store that has everything from saddles to SchulzBucks coffee. Carol's Restaurant is a wonderful gourmet restaurant holding wine tasting nights, special dishes such as bison, and just an overall good time. 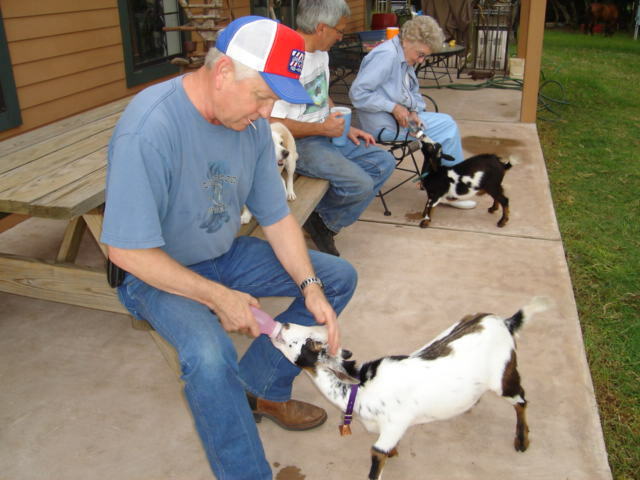 Carol's Blisswood has several cabins and offers parties for weddings, family reunions, etc. Round Top Antiques, History, Architecture, Classical Music. LaGrange the very best music listening venue, a non profit dedicated to the purity of the art: The Bugle Boy! My wife and I arrived here at "Lily Pond" still holding hands after 19 years, but we had lost our common ground connection. This land helped us to reset our compass as a couple and rejuvenate our passion for life for each other. Linda, exposing us to your animals was a joy; though fun to watch, they reminded us that life is hard work with some strife. 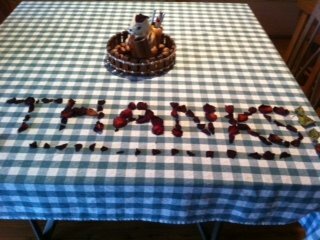 We thank you for your hospitality and wish you and your family the best. Maybe one day we will be back with our children (we have none yet) for another recharge! Linda, our experience here has been perfect. There is such a sense of quiet, and your hospitality has been wonderful. 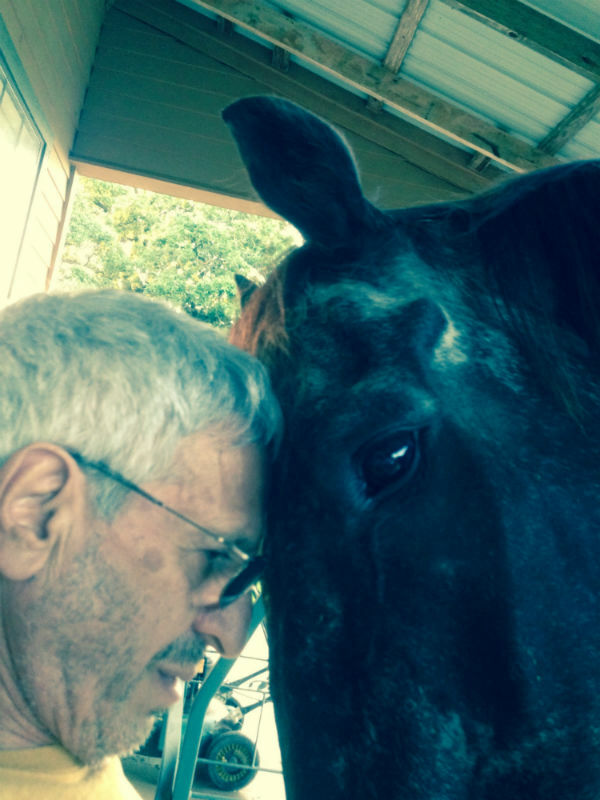 Thanks so much for the work that you do and the sanctuary you have created. Just having a chance to wander the trails and look up at night to witness a truly starry sky has left me elated, and I know that my fiancée has greatly enjoyed spending her birthday weekend here. Hope to see you again soon. -Endless love and gratitude, Art. Dear Linda. This has been the most wonderful birthday of my life. Thank you for your hospitality and providing experiences I will never forget. 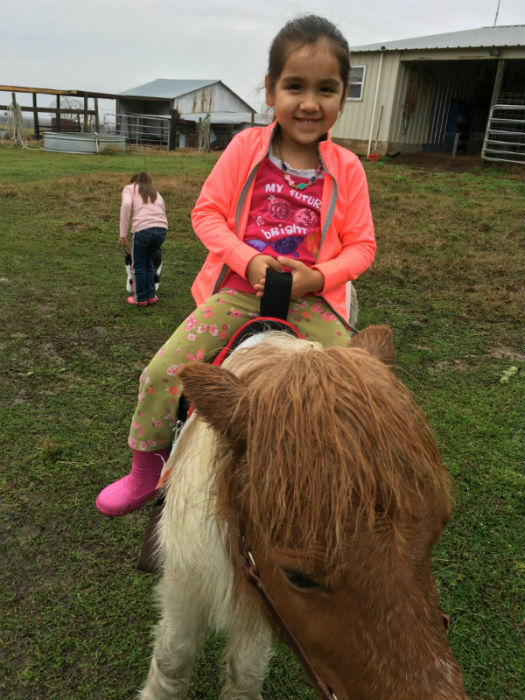 I had so much fun riding in the back of your truck and visiting all of your animals. I feel as if I have experienced the best this world has to offer on this short vacation. It's over too soon, but we will be back. Dearest Linda, I believe we are all here to connect with others, our surroundings, and the world. I arrive with my boyfriend, needing to be reminded what it was like to be connected to others, the world, and God. As I looked into your eyes upon arrival, I thought to myself, "What a gift of fresh air and what it is like to be present with others." Your cottage is a gift for those of us who may have forgotten what it is like to be present with another. Linda, my husband surprised me with a retreat to New Ulm. And WOW he did a GREAT job finding what turned out to be a little slice of heaven. We enjoyed several long walks, relaxed in the hammock, saw your beautiful longhorns! Thank you for opening this very special place of healing and relaxation. Your hospitality is a perfect match to the very CHARM of Lily Ponds Cottage! Thank you for a restful and blessed week! What an amazing cabin and experience. I am so glad we were able to escape the city and celebrate Travis's 29th birthday here! Last night we heard a noise, and the front porch light went out. I was so scared! I pictured a horror movie! Two city kids go to the woods and never make it back! 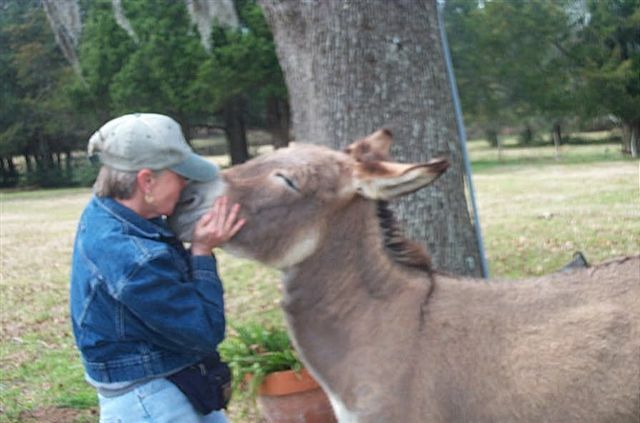 In the end, two donkeys came by to say 'hello'! Thank you so much for allowing us to stay in your little place of heaven. We have never rested so much and felt so relaxed! We will definitely be back and tell all our friends about the cabin. It was such a blessing to be here!